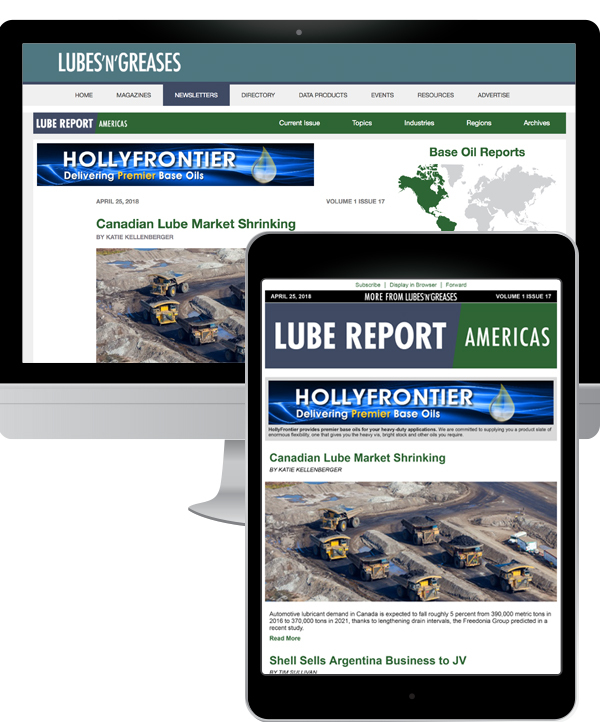 Lube Report is Lubes’n’Greases newsletter delivered via email and online. It is free of charge to subscribe and there are three issues published each week covering the news in the key regions: the Americas, Asia and Europe, Middle East and Africa (EMEA). Each issue includes the relevant regional Base Oil Price Report. There are a number of advertising positions available in Lube Report. In each issue the ads appear in the email as well as the newsletter home page and each article page. The ads remain with the issue in the searchable archive for six months. Ads can be linked to the web URL of your choice.